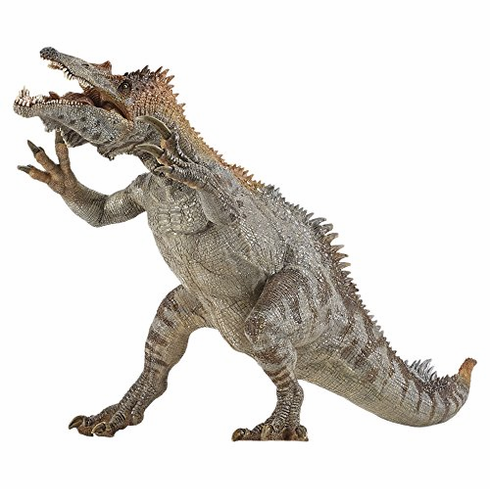 The Papo Baryonyx Stands approximately 6.5 inches tall and measures approximately 12 inches head to tail tip. Baryonyx means "heavy claw" and refers to the animal's very large claw on the first finger. The Papo Baryonyx #55054 is part of the Dinosaur Series by Papo.